American Idol judges Katy Perry, Luke Bryan and Lionel Richie advanced nine artists, including a former Nickelodeon star named Nick Merico and Luke's favorite country voice yet, during Monday night's two-hour episode on ABC. The seventeenth season of American Idol wrapped up its auditions with the three judges critiquing aspiring singers in Louisville, KY; Coeur d'Alene, ID; Los Angeles, CA; New York, NY; and Denver, CO.
Nine hopefuls were shown receiving Golden Tickets and making it through to the next round of Hollywood Week. Jade Flores, a 22-year-old musician from Waxahachie, TX, sang "Strawberry Wine" by Deana Carter. Lionel thought Jade's ability to entertain the judges was just as powerful as her singing, and Katy agreed she has "the personality to back up" her voice. "You are a really, really good singer," Luke said, adding that she needed to convince herself of the same. Christiaan Padavan, a 19-year-old college student from Hampton Bays, NY, performed "Vienna" by Billy Joel. "We just knew when you opened your mouth that you were going," Katy told the singer. "You really surprised us. You've got a real serious voice." Following his great audition, Katy asked Christiaan to belt out "New York, New York" by Frank Sinatra, and the panel absolutely loved it. Ryan Hammond, a 25-year-old from Modesto, CA, shared a story about how he underwent weight-loss surgery last year and nearly died. There was apparently a hole left in his stomach and gastric acid was leaking into his abdominal cavity, but he survived. Ryan, who has since lost 170 pounds, sang "Lay Me Down" by Sam Smith. "That's a gosh darn miracle," Katy noted. Lionel said Ryan turned the song into his own song. "I'm looking for your identity and you gave it to us," Lionel said. Katy appreciated his range and would like to see him stray from church songs a bit. She also advised him to smooth out his notes more. With three yeses, Ryan received a Golden Ticket and was sent to Hollywood. Chloe Channell, a 16-year-old high school student from Pace, FL, sang "Stupid Boy" by Keith Urban while Grammy-nominated country singer and songwriter Billy Dean accompanied her on guitar. Lionel thought Chloe had a great confidence about her, and Katy pointed out, "I thought that was brilliant. It showed off your range and it showed off your attitude." Luke told Chloe to have some fun with her songs because she started the song off a little quiet and small. Chloe made it to Hollywood after Katy advised her to sing as if she's alone in her car, pulling up to a drive-thru. Emma Kleinberg, a 21-year-old college student from Bel Air, MD, performed "American Privilege" by Allen Stone for her audition. Katy said she was the best person to audition that day and Luke explained she kept the judges at the edge of their seats. Lionel said Emma exuded confidence and a comfortable presence onstage, and then she was sent to Hollywood. Zebulon Spencer, a 27-year-old warehouse worker from Dudley Shoals, NC, sang "Porch Swing Angel" by Muscadine Bloodline. "You are about [an inch away] from being absolutely incredible," Luke told him. "You have everything country and you have the country soul that doesn't sound forced. Just get a little touch of pain and relaxation in there. I love your tone." Katy hoped to hear a little bit more grit in his voice. "I love your potential. It's my favorite country voice that has come through here -- last year and this year," Luke said. Katy said Zebulon has got something worth working with, and so he earned himself a Golden Ticket. "The hair started to stand up when you started singing," Richie concluded. Jorgie, a 23-year-old rideshare driver from Los Angeles, CA, sang an original song "Heaven" with his band Jorgie and the Jorgies. Jorgie recently came out as gay and performed his song for a guy back home whom he likes. He said his family was going to find out he's gay by watching this audition. The judges thought Jorgie "nailed" his performance, and Lionel admitted he was in "awe" of the singer and "loved" what he just did. "You've got a real emotional voice," Katy acknowledged. "You have a real chance of being your dream." 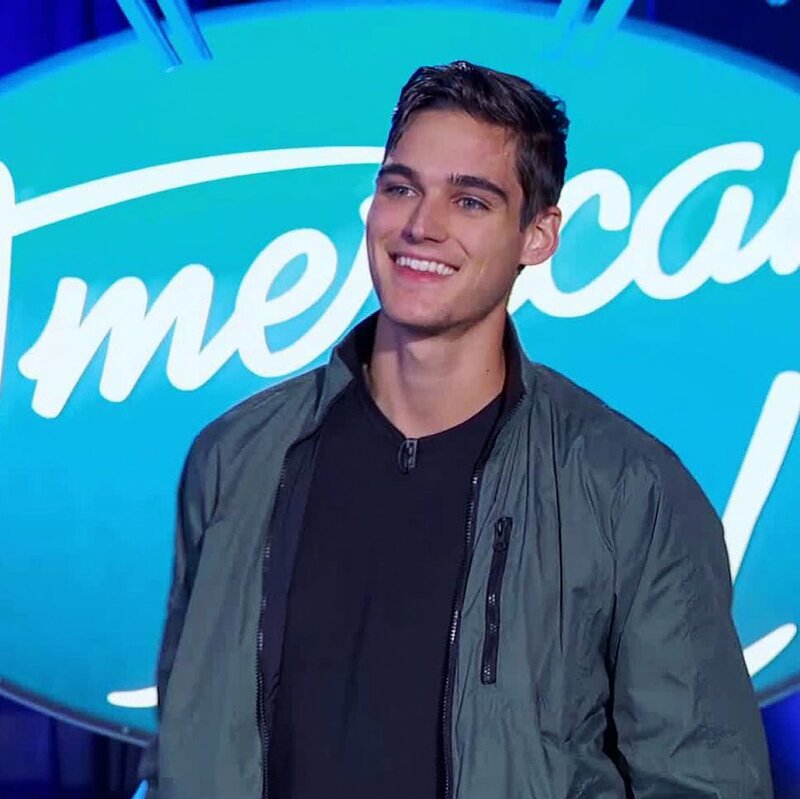 Nick Merico, a 22-year-old Nickelodeon actor from Every Witch Way from Miami, FL, sang "Back to Black" by Amy Winehouse for his audition. "Good Lord!" Luke gushed, predicting the girls were going to scream for him like crazy. Katy asked Nick if he has a girlfriend or "many girlfriends," but Nick said he's focused on his career right now. "You have that dreamy look... Your sound is amazing," Lionel said. "If all goes well, you, my friend, will be famous." Katy told Nick to focus on the music and becoming a real artist because she could tell he wants to be taken seriously. Jackson Gillies, a 19-year-old college student from Santa Barbara, CA, revealed how he had overcome physical struggles related to Hidradenitis Suppurativa that left him with scars all over his body. The singer performed "Make It Rain" by Foy Vance, and the judges appeared to be blown away. Luke called Jackson "so talented" and "so blessed in the vocal singing category." Katy said the competition has a lot of strong singers this season so he needs to work hard, but there was no doubt he'd be going to Hollywood. Now, the spotlight will shift to Hollywood where the artists' nerves, stamina and talent will be tested under immense pressure. Next Sunday and Monday night will feature Hollywood Week.